Say what you want about the customs department, immigration department or homeland security. They know how to state the obvious. Even when it makes them look a bit looney. 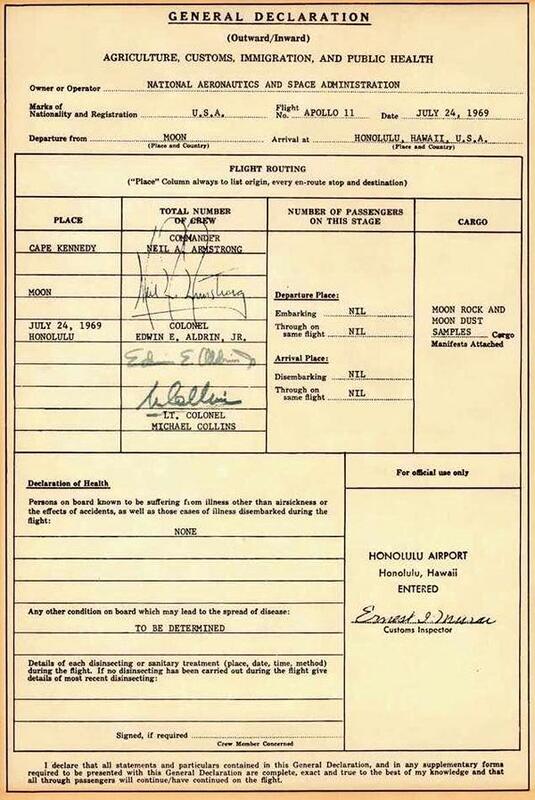 Yesterday, Buzz “Man in the Moon” Aldrin tweeted an image of his favorite astronautical memorabilia: the customs declaration form that absolutely had to be completed when he emerged from that famous business trip of his. It seemed too good not to share. I believe they also have to complete a government travel request form prior to their missions. Heard, too, that Aldrin declared $33.00 in cash when he left Cape Kenndy.